The so-called “Narcos de la Copa” took advantage of the global merchandising boom generated by the soccer tournament to move the drug without raising suspicions. “These merchants of death have endless ingenuity, but don’t be fooled. They shouldn’t be admired. On the contrary . . . they are now in jail,” said minister Cristian Ritondo, according to a statement. 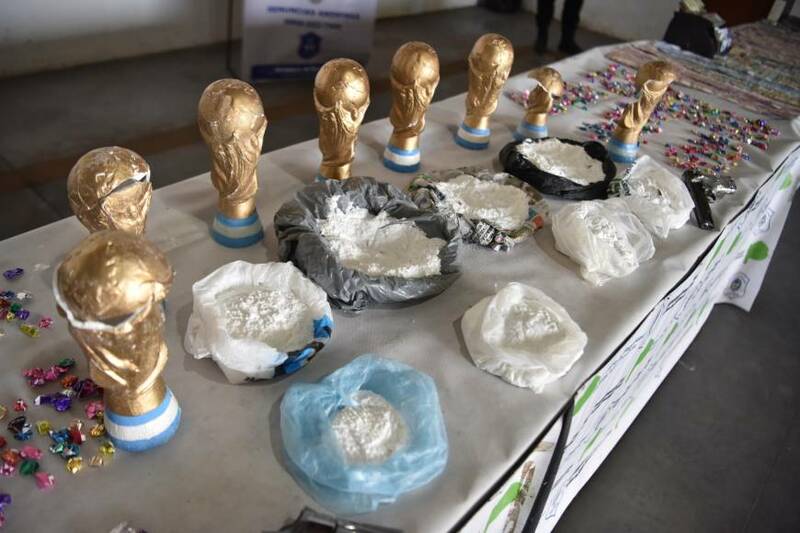 Officials said 20 kg of marijuana, 10 kg of cocaine, 1,800 doses of crack cocaine known as “paco,” and 400,000 Argentine pesos ($14,819) were seized.